10:08am: The Brewers have scheduled a press conference with general manager David Stearns and manager Craig Counsell for noon CT today, and MLB.com’s Adam McCalvy reports that they’re expected to announce an extension for Counsell, whose current contract runs through the end of the 2017 season. An extension of yet-unreported length will spare Counsell the uncertainty of the “lame duck” tag and constant speculation about his job security in 2017 if the rebuilding Brewers get off to a poor start or finish the season with another losing record. Counsell took over as the Brewers’ manager in May 2015 when Milwuakee dismissed Ron Roenicke, signing a three-year deal that was set to run through next season. 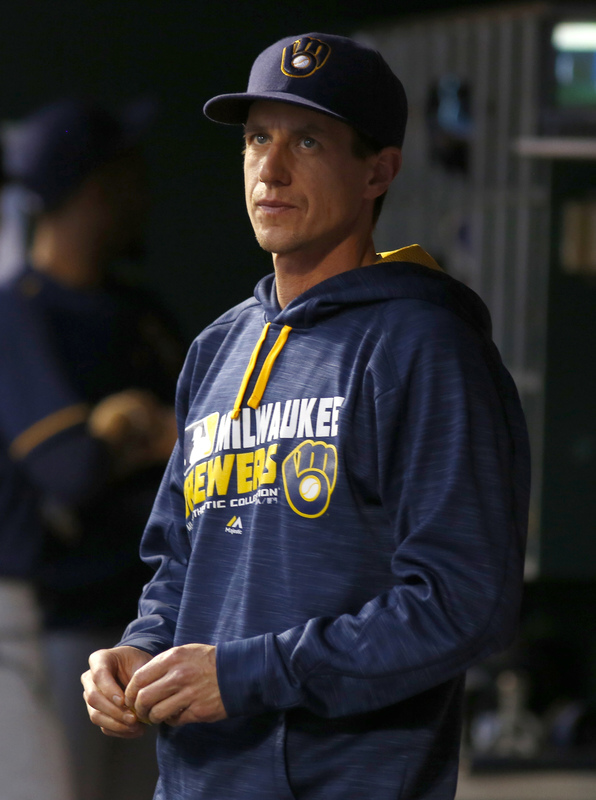 The Brewers are just 135-169 under his guidance, though Counsell can hardly be blamed for the team’s record in his nearly two full seasons of managing. The former big league infielder inherited an enormously flawed roster in 2015 and skippered a club that spent the bulk of the 2015-16 offseason tearing down its roster and rebuilding under a new general manager (Stearns). Via McCalvy’s piece, the entire Brewers coaching staff was also invited back for the 2017 season, so the team’s younger players such as Orlando Arcia, Jonathan Villar, Keon Broxton, Zach Davies and Chase Anderson will have some continuity as they look to further work back toward contention in a stacked NL Central division. Well deserved – Counsell is a local guy who manages bullpen well and uses aggressive base running tactics. Although Villar gets thrown out too much. I hope he’s around long enough to see his squad continue to grow into a potential NL Central contender. And five of their ten best prospects (very weak farm system) then yeah I could see that. Are the Giants also willing to throw in Ray Durham and Edgardo Alfonzo? Then you have a deal. Matt Cain? Are you the guy in fantasy leagues that sends stupid trade offers to everybody that would listen? Matt Cain I thought he retired lol… come on man!!! LOL, the rest of the NL Central thanks you, he’s an absolutely horrible game manager. 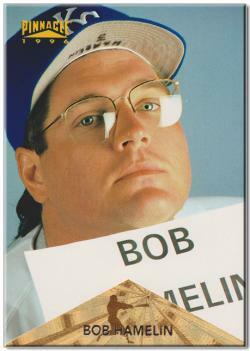 But hey, being a great clubhouse guy gets you an extension in Milwaukee. How good do you think the Brewers could have been if Counsell wasn’t the manager? As explained above he inherited a ‘very flawed’ team. With the talent (or lack there of) from the past 1 years, how many more wins would they have realistically gotten? 73-89 isn’t that bad considering that it was the very first full year of the rebuild, and with a new front office. Remember that a lot of MLB experts had the Brewers being in Braves or Twins territory at the beginning of the year. This could have been a 5 or 6 year rebuild with 100 losses being the norm, but Stearns and Counsell have done a fantastic job rebuilding so far. They have probably cut that time in half. I’m predicting 75-82 wins in 2017, and a strong chance at a 2nd wild card spot in 2018. The sky is the limit from there. can’t judge him either way. he inherited a bad team that only got worse at the DL after trading the best player of the team but he also did lose a lot of games. I think he did a decent job and a better manager couldn’t have done much more but it remains to be seen if he is the right guy to manage a 90+ win team. sometimes the best manager for a rebuild is not the best manager for winning, usually teams will go to another guy then. i think he is hired for 2 more years of losing and then will be fired as a scapegoat to buy the ownership and gm more time with the fans in case the rebuild is not advanced enough by then. I can see where you are coming from, but I still think Counsell is the right man for the job in the long run. Though the Brewers are undoubtedly a worse team without Lucroy, Jeffress, etc., they did play very competitive baseball after the deadline. August was horrible, but in the last 30 games of the season, the Brewers went 17-13. How is he a “horrible game manager”? The brewers bullpen did substantially well this season, despite having pitchers in new roles. Then they traded jeffress and smith and they didn’t lose much. Despite all of that, they still were ranked 12th in the MLB in bullpen ERA. Not to mention, Braun has been nothing but injuries since 2013, and Counsell managed him perfectly. So perfectly in fact, he had his best year since 2012, stayed off the DL, and one could argue he was an all star snub. Counsell not only did a good job, he surprised many people including myself with how good this team actually was, and just wait to see how great this team could be with him when Arcia, Brinson, Hader, and Diaz all develop. It sure didn’t look like Wrigley North when the Cubs were losing 90 games straight for multiple years in a row this decade. And that’s when at Wrigley I could walk down through rows and rows of empty seats to take a better spot. Cubs fans were awfully quiet just a few years ago. Brewers’ fans consistently come to Miller Park. You should take a look at the attendance records. Even these last couple of years when the Crew has been bad, the attendance has about been about average. Could the Cubs say the same 4-5 years ago? We have no idea how good Counsell can be yet but he knows the game and every year he’ll get better and more confident. Otherwise we’ll hire 70 year old Maddon and watch Counsell win it all with the Royals.